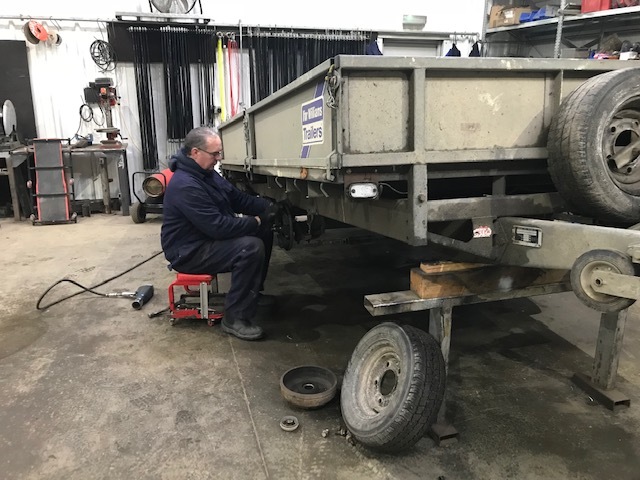 At Graham Edwards Trailers we offer a comprehensive and highly competitive trailer servicing regime for all makes and types of trailers. We are accredited quality secured members of the National Trailer and Towing Association (NTTA). Our trailer servicing staff are highly trained and experienced trailer specialists who are happy to advise customers accordingly. All trailer repairs and servicing takes place at our site based just out of Full Sutton, Stamford Bridge, York, East Riding of Yorkshire. 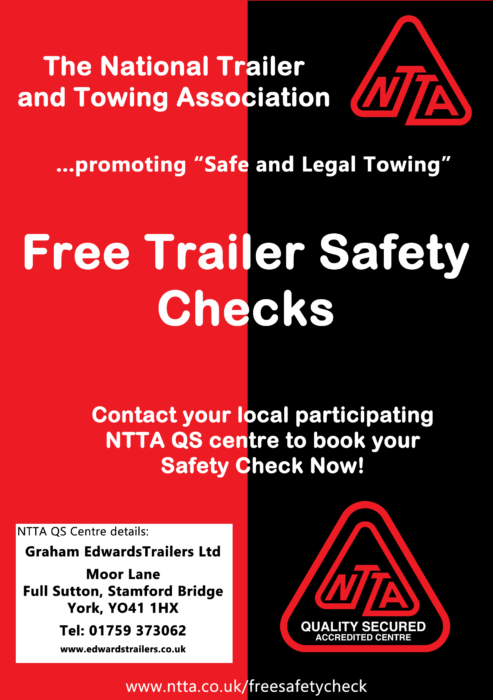 All trailers, unbraked and braked, up to 3500kg (gross weight) can be brought to us for an NTTA QS Free Safety Check. This could highlight issues that should be addressed. If you would like to book your trailer for a service or receive a quote for repairs; please call us on 01759 373062. Alternately click on the button below.